* Monday April 22, 2019 @ 7:30 p.m. Sorry this class has filled!!! *Tuesday May 7, 2019 @ 6:30 PM Now taking deposits for this class!!! Wednesdays @ 7:00 PM Call for more info. **ALL STARTING DATES ARE TENTATIVE SUBJECT TO A MINIMUM OF 6 REGISTERED DOGS. After recieving your $50.00 Deposit. We will call you by the Thursday before your class commences to confirm. A good family pet comes when called, every time! Teaching a young puppy that coming to you is a good thing will make both "their life" and "your life" a lot happier. It is no fun to chase your dog down the street terrified that he will get hit by a car. When you follow through with the training provided, you will live with a dog that listens and is a joy to own. You will learn how to make sure your dog does not pull on the leash ever! 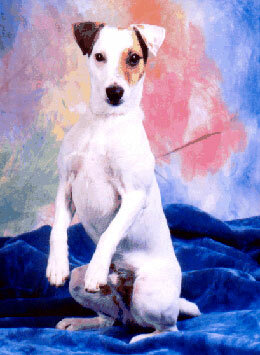 We are sure you have seen or experienced a dog who drags its owner down the street. This makes walking the dog an unpleasant task. If walking your dog is unpleasant, you will not want to take them for a walk. 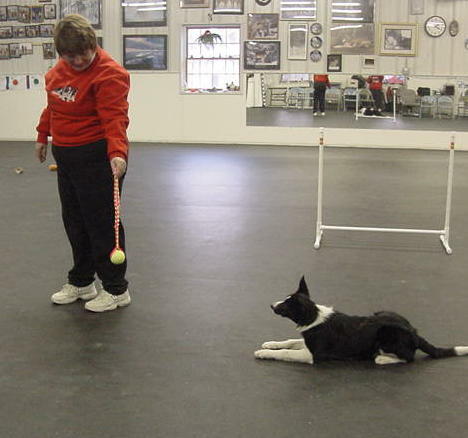 When dogs do not get the exercise they need, many unwanted behavior problems occur. Learn how to teach your dog to walk on a loose leash so that the both of you have fun getting some exercise! No one likes to have a dog jump all over them, even when it's his/her own dog. Learn how to teach your dog not to jump up unless invited. The command "OFF" is one that if taught properly makes owning a dog a lot more enjoyable. Starting OFF with a puppy is a lot easier than waiting until you have a full grown dog. This is a command that every dog should learn. There is nothing like having a dog that will stay put when told. There are times in life when we would like our dog to be quiet and under control. Learn how to get your dog in a curled down position and how to keep him there. 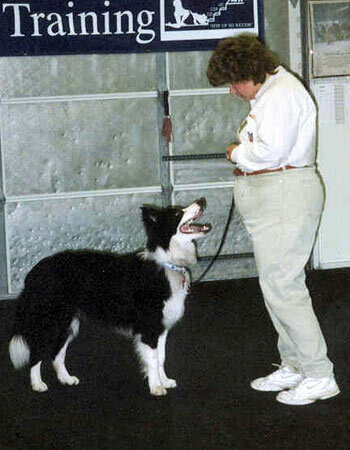 A well trained dog is taught to how to meet people respectfully. Your friends and family will be amazed at how well your dog listens to you. You will be proud to show off your dog, instead of being embarrassed by him. This is a command you will be happy you taught! Your dog will learn not to try and push by you at the door. He will learn to wait and let you go through the door first. He will not jump out of the car unless you give him permission. This will save your puppy's life. Many dogs get killed every day by sneaking out an open door. Learn this command so that you keep your pup safe! This is another command every dog needs to learn. There are times when we either drop something on the floor, or see something that we do not want our dog to have. Teaching your pup to leave it, makes life with them so much more enjoyable. 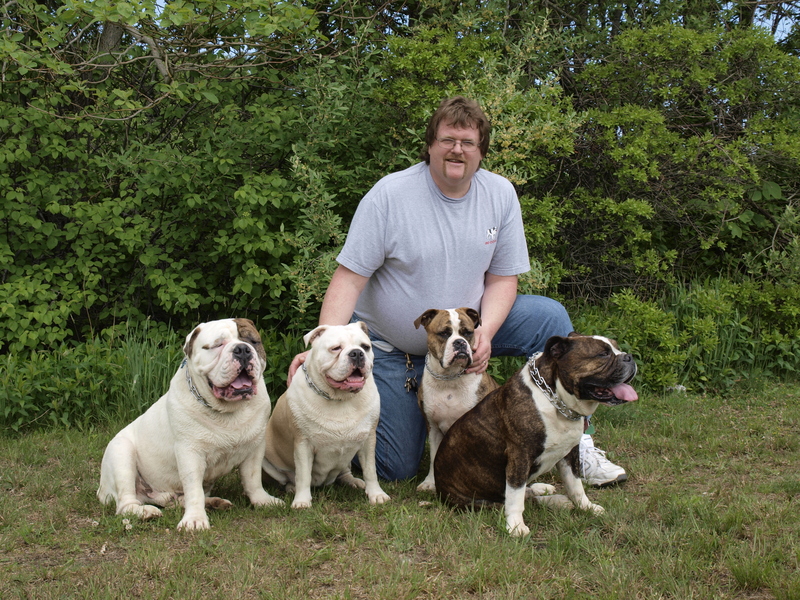 We will cover barking, digging, chewing, and house breaking. Give your puppy a chance to grow into the kind of dog with whom you will want to spend the rest of your life. Puppies must be at least 10 weeks old and have had their first permanent shot. Please call us for a Registration Form and information packet. (508)763-4843 The completed Registration Form and a $50 deposit are required to hold a space for the next session.